Halloween greetings! You won’t find anything ghoulish about this week’s Breakfast visitor, however: meet Laurie Wheeler, intrepid fiber artist and mother of two. You will find more than a skein’s worth of inspiration here though — so brew a fresh cup of whatever you like to drink in the morning and enjoy. LW: What an interesting question! 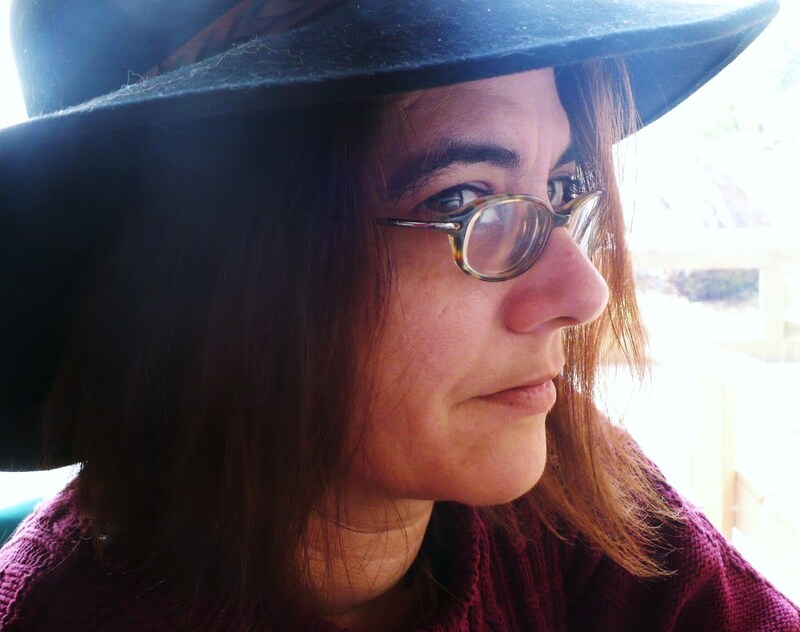 The conventional answer is this: I am Laurie Wheeler, a woman who is mother of two, wife, fiber artist, and would be author/editor. The more interesting answer is that I’m a woman with a degree in international relations who has lived, loved, and worked in 23 countries and four continents. As an expatriate I always chose to live in the local communities and never behind the compound walls with other people from my own country. I love people, observing their lifestyles, cultures, and philosophies. In summary, I am the sum of my total experiences, minus those I have yet to experience. CC: What do you do? CC: What do you do in the creative domain? 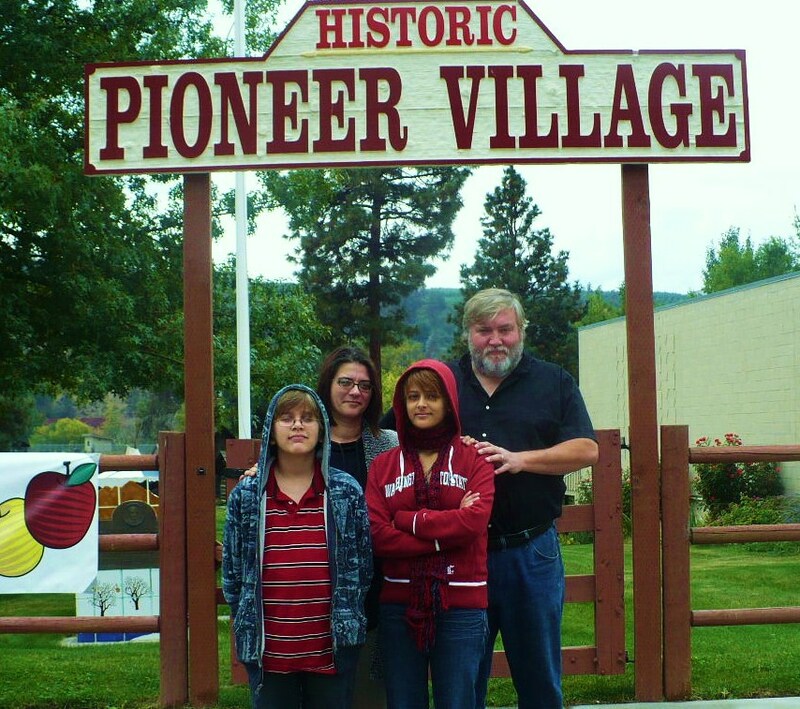 LW: (Have you ever tried homeschooling a teenager?) Crochet, hand spinning, needle felting, wet felting, and the occasional foray into mixed media (nothing I’ve been satisfied with yet, but hey someday! 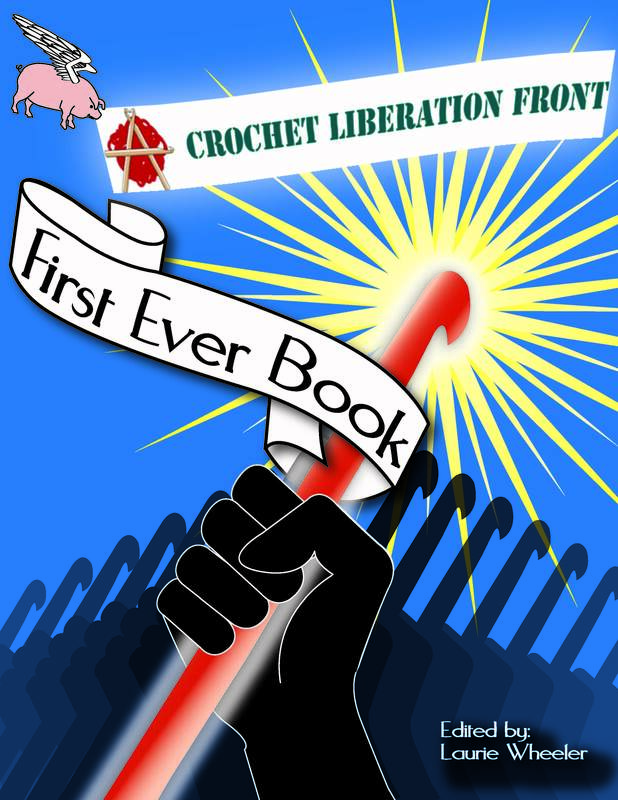 ), oh yeah and I just finished putting together a 194-page, full-color collaborative work entitled Crochet Liberation Front, First Ever Book. I also have a rather nice herb garden and enjoy cooking and making home preserves. I also play around with an intuitive painting technique. It is my belief that the axiom “I think therefore I am” is only part of the story for human beings. “I create, therefore I am” is a far more accurate statement. 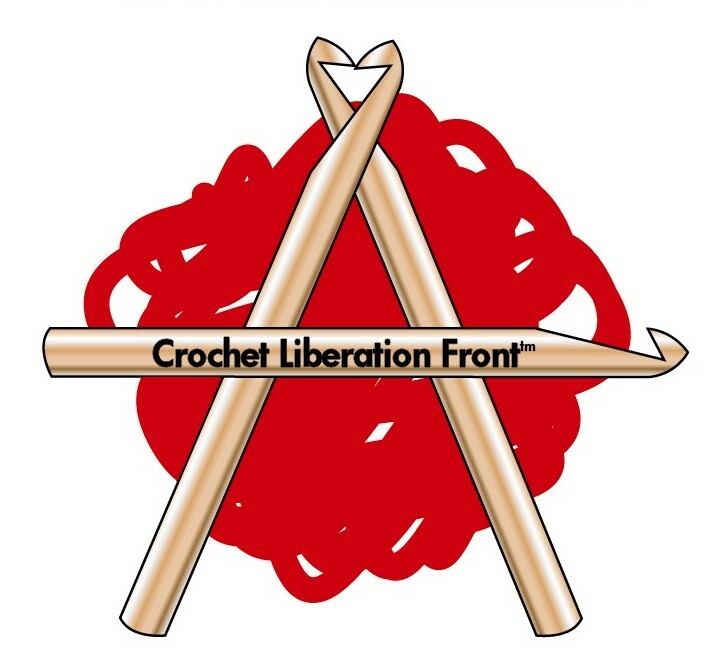 CC: How did Crochet Liberation Front (CLF) come to life? LW: The story of how the group came to be can be short or long. The short version is that I was tired, suffering from insomnia, and being silly; in other words it was a joke. 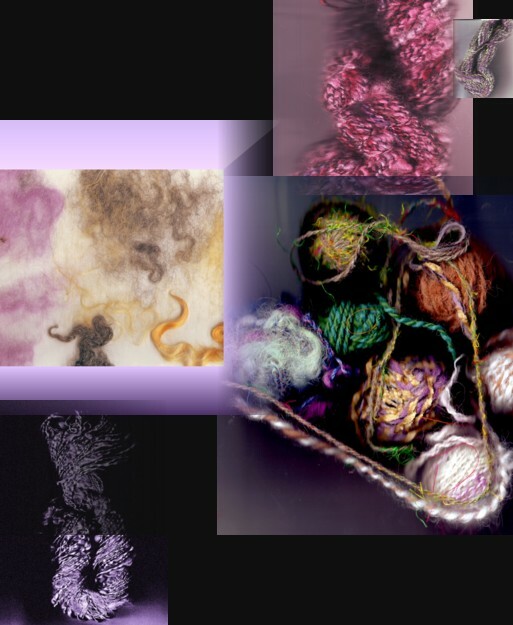 The long version mirrors my own creative journey as a fiber artist. 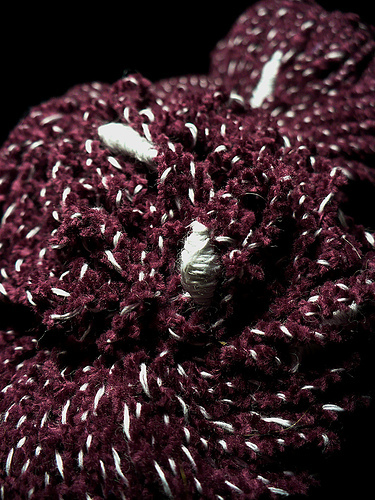 I learned to crochet after I learned to embroider, which means I was somewhere around 6 or 7 years old. I know I was crocheting at 8 years old because I made a hideous granny square (pink/purple and red) for my great-grandmother. My great grandmother taught me to crochet, and treasured all of my awful first creations. I crocheted off and on throughout my childhood and teens, even though it was not the cool thing to do. I put the hook down when I went to college in England, but picked it up again when I was in my third trimester of pregnancy with my oldest child and was forced into bedrest. Faced with a month in bed I spent my last free day scouring the country of Bahrain for hooks and yarn or thread. I couldn’t find any yarn, but I found thread and a lace hook, and with those supplies I managed to survive the bedrest and make lots of “pretties” for my daughter-to-be. Fast forward: I came back to the USA in 1998 a single mother with two kids and not a lot of money (that’s another story). I crocheted all of our Christmas ornaments that year because I couldn’t afford to buy anything. In fact I made many of the presents for friends and family that year as well. I didn’t think what I did was art, I didn’t think too much of it at all. It was just something you do. Art is painting and drawing and sculpture — my brother’s the artist; I’m the “brain.” In short, art was something I couldn’t do. 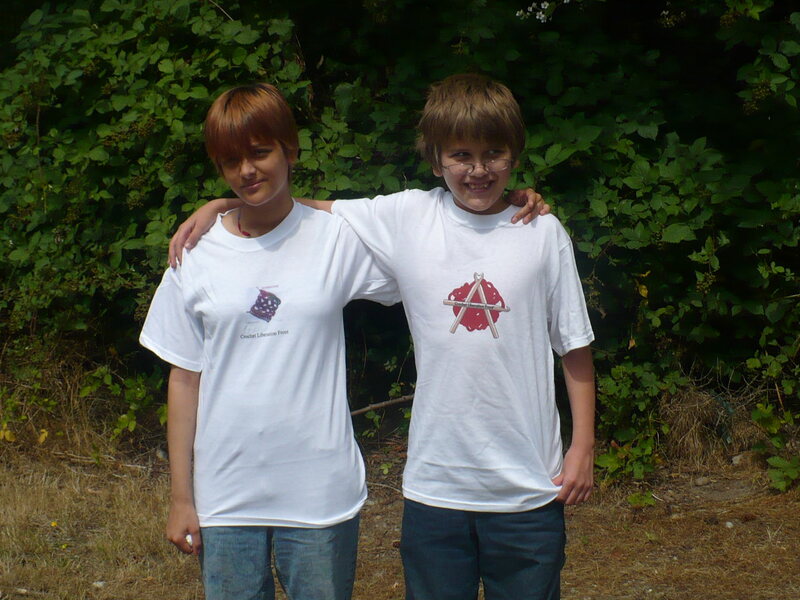 In 2001 we moved to Camano Island for Jeff to run two fabulous Washington State Parks. Deciding we would remain in that area until he retired, I set out getting to know the people in the community. One day I met a woman in the local craft store and my world changed. Ann Hopkins, a local art teacher and fiber artist, declared that she was going to teach me hand spinning. I don’t know about you, but ever since I first read Rumpelstiltskin I wanted to learn how to use a spinning wheel! I jumped at the chance to learn a dying art. It was in taking up spinning that the early kernels of the CLF were conceived. As I learned to spin and found books and magazines on the subject, almost all the information revolved about yarn and knitting. 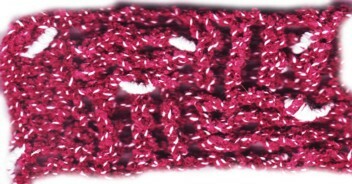 There was almost nothing about crochet in the literature. I don’t knit (not for lack of trying), and couldn’t understand why no one had information for spinning and crochet. When I started attending larger fiber arts gatherings, hand-spinning events, and competitions I repeatedly got told, “Your yarn will work for you, you crochet.” The word “crochet” being said in a snide tone of voice. It really started to annoy me, because all of these people who had crocheted only edging or doilies (nothing wrong with either of those things, but I crochet everything out of necessity since I really am terrible with pointy sticks) kept telling me what I could and couldn’t do with my own yarn. I have this kind of contrary nature, so the more they kept saying what couldn’t be crocheted, the more I endeavored to make the very things they said couldn’t be done. From sweaters to socks, bags, hats, and scarves, I used stitches they said didn’t exist, and made 3-D wall hangings. I turned the CLF into a real organization after we gained over 100 members by fall 2007, and saw that we really did have the potential to do some great work together. 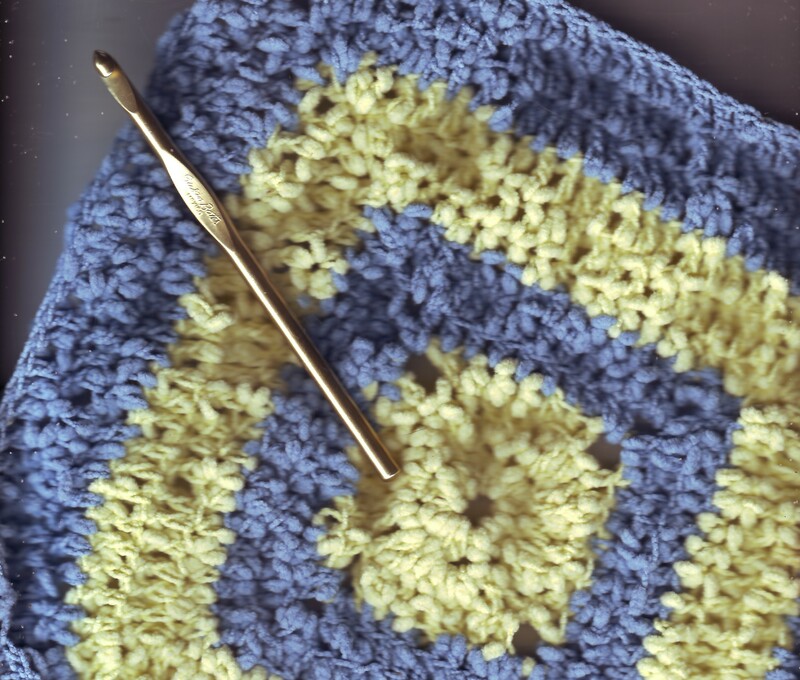 Busting really tired myths about what crochet is and is not. 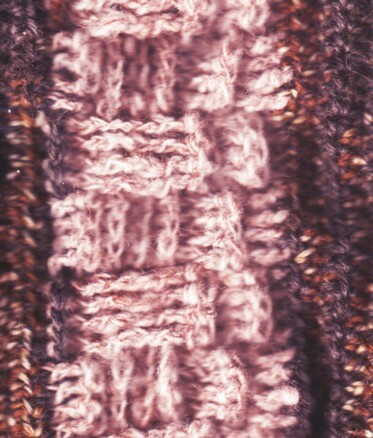 We do this by sharing our projects on Ravelry.com, and by me awarding really cool items on our blog! 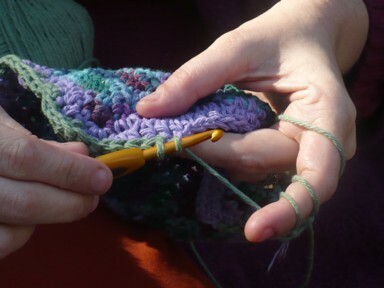 Supporting crocheters around the world to get out there, show crochet for what it is, be proud of what they love to do, and to form groups if they can. Taking on the publishing industry and craft yarn industry in the USA and abroad. They have all these things they like to say about crocheters. My personal favorite is, “They are cheap, they don’t use good yarn.” As a hand spinner I often raise an eyebrow at the yarn manufacturers because very little commercial yarn is what I would consider good…so I write to companies (and encourage others to do so as well) and ask them to clarify what they are saying. What they mean to say is we don’t buy expensive yarn. And, I do not think that is true in the least. I think they have not marketed to crocheters. When they do, crocheters will know about their products. You can’t buy what you’ve never heard of. Liberating our creative selves. We in the CLF do not think that the whole of crochet’s designing potential has been tapped. So we’re one big support party for opening our creative veins and pouring out our hooking souls to make one big creative soup together! CC: What prompted you to start a blog? LW: Well, it seemed like the right thing to do about 6 months after I founded the CLF. That’s when I started to award crocheters for outstanding, phenomenal, and well-made items. The blog was the easiest way to go. I occasionally rant on the blog just to stir things up a bit. CC: And what sparked you to launch a podcast? CC: How’s it going so far? LW: LOL…um…I put it out when I can. I still love to do the recording, but it’s one thing that gets put on hold more often than not. I do like the podcast because people can actually hear my voice, and actually hear that 90% of the time I’m not really “angry,” but sarcastically self amused. LW: I crochet anywhere and everywhere! That’s the great thing about crochet — it’s super portable. I crochet in the car, waiting in offices, all over the house, when I meet with friends. When you are kinesthetic it actually helps you concentrate on conversations to keep your hands busy. 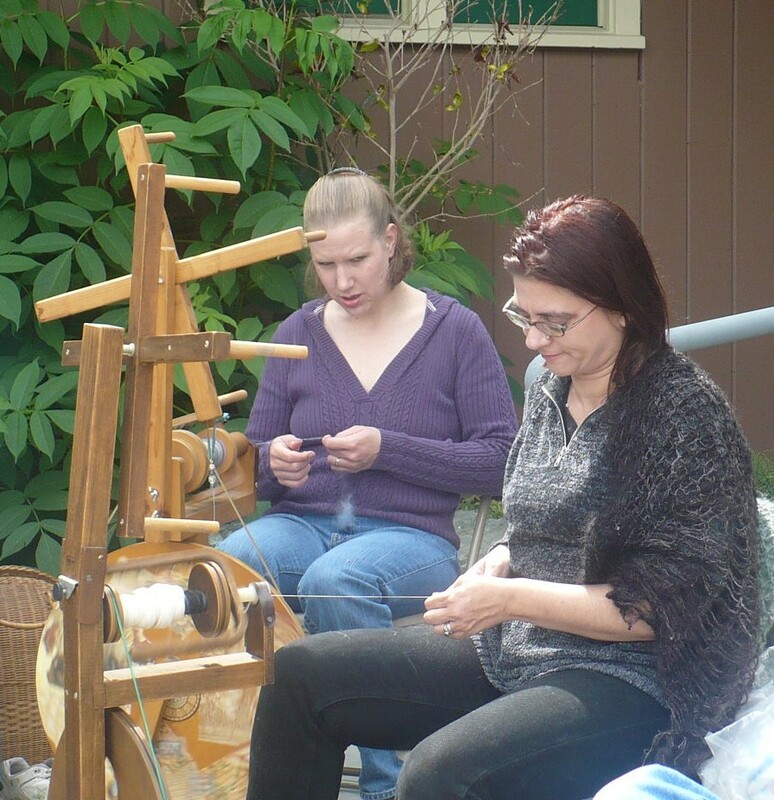 Spinning and needle felting happen at home in my room, and at the fiber arts group I host monthly in Stanwood, WA. Other creative endeavors happen on the deck outside or in the kitchen. When working on the CLF website or book I can work wherever I can find a wifi signal, so that means the local library or my best friend’s house. LW: Yes and no. I crochet all the time; if I’m sitting down I have yarn and a hook in my hands. Hand spinning happens a couple times a month (especially after a shoulder injury). Crochet Liberation Front activities happen from Tuesdays through Saturdays (the library is closed on Sundays and Mondays). I try to get a few hours a day in online. Felting? Intuitive painting? That’s a totally spontaneous deal — that happens when the muse strikes me. LW: Before I was a mother, I wanted to be creative. I was musical, but that wasn’t my passion — I was just born with a set of good pipes. I wanted to create visually but I tried too hard, and had too many inhibitions. When my daughter was 18 months old she drew a smiley face for the first time. So I bought her crayons and markers to encourage her obvious talents, one problem; she wanted me to draw with her. So I learned to doodle. She and I would spend hours making scribbles together. I would say my children liberated my spirit, taught me to play, taught me to observe nature and forms in a new light, and most important taught me joy. All of this gave me a fresh perspective, and so I found my creativity. LW: Tough question. I would say that taking time for myself, time for my work without feeling guilty. Being a child of the 1980s I was socialized to believe that you could be “superwoman.” I learned in my mid-20s that there was no way that could work, at least not for me. Even though I was told, “You can be anything or do anything” growing up, I still was socialized with women being in a role of organizer and social secretary, not to mention housekeeping and child rearing specialist. When you’re doing all of that it’s hard to have creative energy left. I used to grumble about this and tell folks, “It’s not fair, no one can do all of this and have time left for themselves…” But taking the responsibility for myself to make time for what I need to do to fuel myself was the biggest challenge. I feel less guilty now, maybe because the kids are older now, or I’m pushing 40. What’s funny is that I realized I was repressing myself, that no one else was doing it…Not that there wasn’t a little resistance from children and husband when I chose to take more for me, but that was just in relation to change…they’ve really found “When Mama’s not happy, nobody’s happy” to be a very true statement. LW: Everywhere! Everything! Everyone! From the past and present, I often mix color schemes and patterns from places I have lived in Africa and the Middle East. I take a lot of solace from my garden and the way the colors and textures play through the seasons. I love to create things for young people, and so I ask them what they want to have. It’s amazing what you get out of kids. Oh and recycling and repurposing things is a big thought in my mind now, I find myself looking at “garbage” and wondering what I can do to transform the items so they don’t end up in a landfill. CC: Just for you: What is your greatest indulgence? 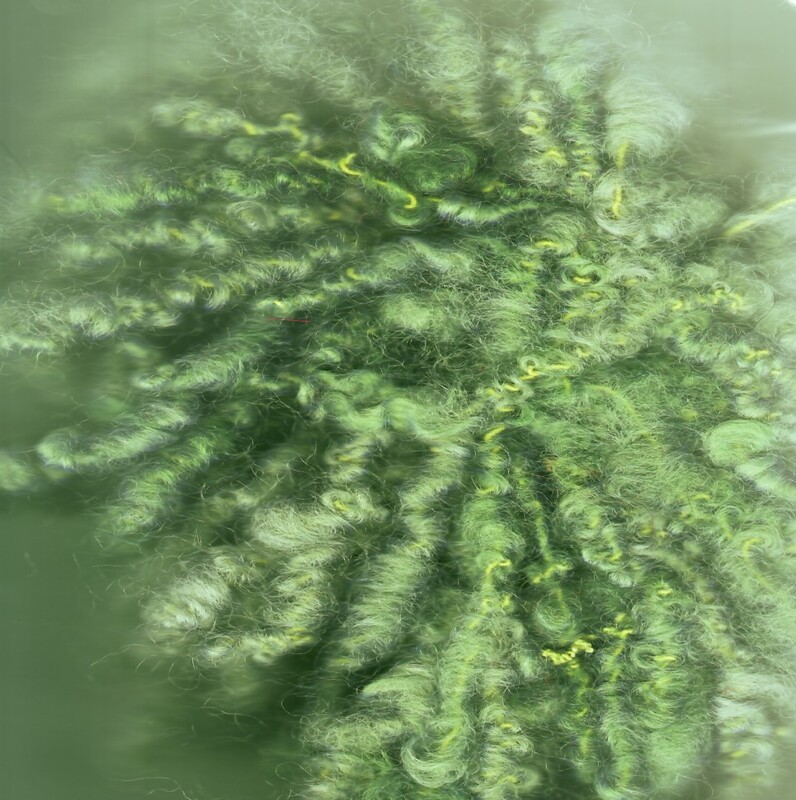 LW: Buying, spinning, and then using exotic fibers to make myself something. I make myself something special once a year. I have a glass crochet hook that I use — it’s a uniquely indulgent sensation to put a cashmere/silk/beaded yarn to that hook…it’s almost better than really good chocolate. CC: Library: What are you reading right now? LW: Children of Dune by Frank Herbert (I’m re-reading the whole series). CC: Soapbox: What advice would you offer to other mothers struggling to find the time and means to be more creative? LW: OK, you asked for it, I got a soapbox and I’m not afraid to use it. First of all I think most times when people say “mothers” they mean mothers of young children or babies…You know we stay moms for the entirety of our kid’s lives, it doesn’t end. What happens are stages. If you have babies, there are things you have to adapt. Your creative energy is often going into mothering. But you can sit them on your lap and do things. I watched a young mother of a month old put her baby in the sling and sit and spin at her spinning wheel at our group. It was great to watch! For creative pursuits that have toxic elements (paints, dye, glues) you have to make space for it where the kids won’t get into it. It may mean you have to wait awhile to get back to it. That’s OK too, it’s just seasons in life. I can say that I did far less crocheting when the kids were toddlers than I do now. I was too busy running after them (especially my son who was like quick lightening!). It feels like the little ones will never grow up, but they do and fast. I would get in what little creative activity I could when they were sleeping. I was really excited when my son slowed down at about 5 and I suddenly had far more time to be creative! Understand that your creativity comes and goes with your energy expenditure and life stages. The other thing is, make time. Just make time for you, even if that means a soak in the tub by yourself. For me, that soak can just get it all revved up again! I would encourage mothers to share their creative pursuits with their children. I began sharing so the children felt less deprived when I did need time to do what I needed to do. It’s kind of what Dr. Christiane Northrop says about mothers and the people in their lives, we’re like the “cat dish,” nobody’s interested in what we are doing until we’re doing it! When my daughter and I were struggling through the pre-teen/early teen stage it was awful. In fact I lost a lot of my creative juices because we were constantly in conflict. Then I taught her to crochet. It became a needed common ground; now we share a passion (and she does occasionally raids my yarn stash and hooks, but you know there’s worse things teenagers could raid!) and enjoy creating together. Likewise my son enjoys helping me dye yarn It’s the ultimate chemistry lab! Have some boundaries on what you do. As much as you are sharing with your children let them know it’s an invitation to your world, and that your world has limits (such as “Hands off the cashmere, Darling, that’s mine!”). CC: It’s been a treat, Laurie — thank you! wow, laurie, that’s so cool, you’ve opened a whole new world to me that otherwise was kind of alongside mine. ie: college roomate was a crocheter, i did kooky stuff from that at the time like ‘friendship bracelet’ guitar straps for boyfriend, during classes. not much since. and your soap box, too, it is true we are their mother’s for their/our whole lives, and each aspect has it’s unique challenges and rewards. nice to meet a revolutionary with needles! I love your soapbox. I think artistic moms of every age and stage spend too much time beating themselves up for not being Superwoman (as you said). It doesn’t mean we can’t have our “super” moments – which we do – it just means that we can’t do it all at once, every day. Something has to suffer, or be re-prioritized. We all just have to remember that it’s never too late, life and art do not end unless we, ourselves, stop living and creating. Oh no now trouble is here also. I can not believe she used that horrible picture of me! Wow, you definitely take crocheting to a whole new level, and in that sense it is certainly a creative pursuit, like any other. I like your advice to Moms with children of at various stages. I noticed that you’re re-reading the Dune series. I was just sent the latest book, “Paul of Dune” by Brian Herbert (Frank’s son) and Kevin J. Anderson, for review. It is set in the time period between the first book, “Dune” and the second book, “Dune Messiah.” It’s hefty, and I am trying to re-familiarize myself with the series somewhat before reviewing it, since it’s been so long since I’ve read the other Dune books. what a fascinating life you’ve been leading, Laurie! all that living abroad and now camano island. sounds marvelous. my mom was an avid crocheter. she tried to teach me many times but i could never get the hang of it. mom was right-handed, and i’m left-handed and my brain just couldn’t make the switch. glad to see her love is still thriving! Laurie, you’re awesome. You do so much for the crochet world, which pushes me along in my efforts as well. A creative life is a good life. 🙂 Thanks for the blog mention! Now I just need to go update it. Thanks Tracie, and you’re not so slow with the crochet gospel out there either 🙂 GRIN… Hook on! Live Long! It is a supreme honor, as well as a transcendent delight, for my own humble blog to be favored by the founder of the CLF! You know how in the UK, companies put some kind of insignia on their products indicating that HRH the Queen favors them? I’m just daydreaming….